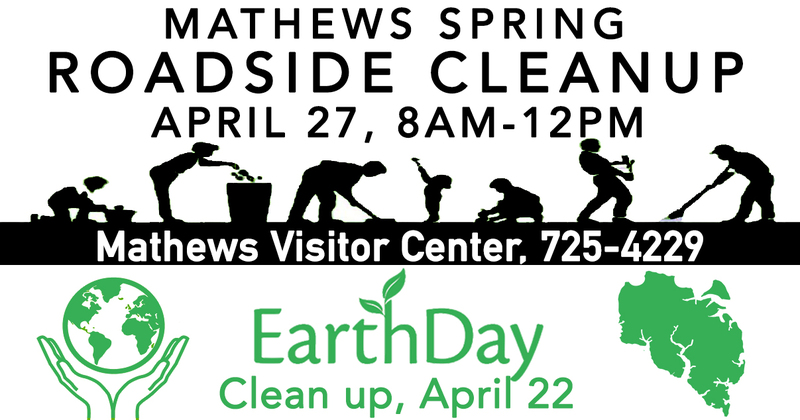 Grab your local organization, church, non-profit, family, and friends to help make Mathews looking cleaner for Spring!There will be 2 Spring Cleanup dates this year. Please let us know if you can attendby clicking "Signup for Cleanup" below. Would you like to host your own cleanup? Give us a call and we will sponsor you. 804-725-4229. 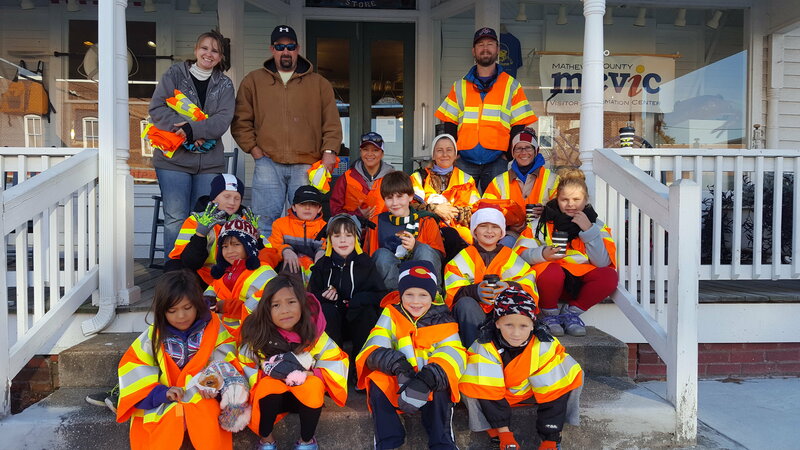 9am-12pm - Clean a roadway with your group. Keep count of bags collected and leave them on the side of the road. 12pm - Return supplies, and come back for a free pizza lunch! Please note, all groups must have someone over 18, and must be responsible for their own transportation. The Visitor Center will also have a list of high-priority roads if you don't already have one in mind. We will providetwo FREE meals, and all the equipment you will need: vests, trash bags, gloves, and nets.We recommend you wear long sleeved shirts, pants, and waterproofboots. 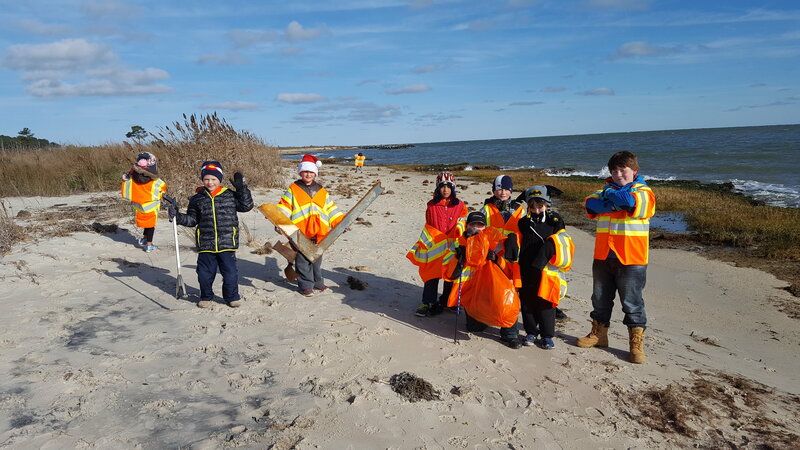 cleaning Bethel BeachNatural Area Preserve, birdingand wildlife trails. If you are interested in this cleanup, click the "Signup for Cleanup" button and fill out our one minute form. You will be contacted by Steve Pope for the Earth Day event. Copyright © 2019 Mathews Visitor and Information Center, All rights reserved. We send monthly newsletters to our subscribers.